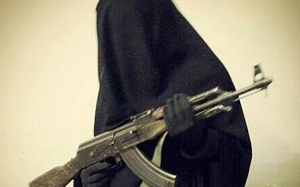 Mangaluru woman among 16 people from Kerala who joined ISIS ? Mangaluru, July 28, 2016: It has been gathered that a woman from Mangaluru was among the 16 persons from Kerala who are missing and are suspected to have joined the ISIS. Sources said Intelligence officials from Karnataka and Kerala and police personnel from Internal Security Department of Kerala have visited the residence of the woman to gather more information. It is said the woman who had done a diploma course in a local medical college had married a man from Kozhikode in Kerala last year after which she had left for Srilanka with him. Sources indicate that even six of her family members had accompanied them and they went to Qatar and Muscat from Srilanka and since then untraceable. It is said the list of 16 people from Kerala who are missing from Kerala also includes the name of this lady and also that of her family members. The message sent by one of them named Abdul Salam a few days after they went missing stating that they were in the heaven of Allah was said to have been delivered from a place called Tarabodha on Afghanistan-Syria border. Do not expect the Lady back as she will be ready for everything and destroy the peace of the country. First of all ISIS doesn’t belong to any religion as they are merciless people .Enjoy blood shed . The whole ISIS have to be destroyed.